After our trip to Wyoming I got bit by the trout bug. This isn't that rare for me, as I often have a couple stints a year where I get fixated on a particular species. But this might be different. When I moved to western MA last spring, I thought it would be awesome to somewhat pioneer kayak bass fishing in the area. That is still largely true, but it is easy to see why trout fishing is so popular around here. With flows like the Deerfield, Swift, Westfield, Millers, and many others, it is a trout anglers dream. The last couple of weeks have been a blast chasing a mix of stocked, hold over, and native trout in various ponds and lakes of the Berkshires. Now, I am thinking that maybe the kayak fishing industry needs to start giving trout more love! Trout fishing represents my roots as an angler. I learned to fish on Pine Creek, a small trout stream that flows by my childhood home in central Pennsylvania. I learned to fly fish on historic Penns Creek as a young teen and spent many hours there in my teens and twenties. A 4 month stint in Oregon and northern California at age 21 rejuvenated my love of catching trout on the fly. It also made me realize how much more I had to learn. Since then, I've been lucky enough to chase trout all over the country, including the wilds of New Mexico, Wyoming, and other gorgeous places. I've become a proficient, multi-species fly angler, but still have a long way to go. After all, I only own 7 fly rods - a number I wish was closer to a dozen...better make it a bakers dozen. 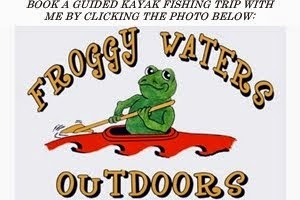 This month, I've truly come to realize the benefits that a fly fishing and kayak fishing union can have. When the lakes and major rivers receive their fall trout stocking, they can get pretty busy. So, if a spot can be easily accessed by land, you can bet it will be taken by bank bangers chucking fluorescent balls of Power Bait. Other flows, like the Deerfield River in my backyard, are descended upon by every yuppie fly angler in a 100 mile radius. Thankfully, most bank anglers and waders don't stray from those easy access spots. Therefore, as a kayak angler, you can access the bulk of the shoreline, drops, and centers of these lakes or more remote stretches of river. I can get my kayaks loaded and unloaded in no time, make a short paddle to set up a drift, and go right to work on water that hasn't been pounded by other people. Plus, it simply gets you away from the crowds, which is largely what I crave when fishing. Another great reason to kayak fly fish for trout in New England is the wind. The Berkshires are notorious for strong, swirling, everyday winds. They can be annoying for any angler, let alone someone trying to make long, quiet casts in gin clear water. But boats like the Wilderness Systems ATAK 140, my fly fishing platform of choice, do a great job of shedding wind and providing a large, open, super stable platform to cast and fight fish. If needed, you could add an anchor. But keep in mind that many areas are over 20 feet deep and the wind swirls so much that I rarely bother and just drift. I've caught a bunch of rainbows and brown trout ranging from 10"-17" in lakes and ponds of the area. My biggest, a beast of a brown trout, spit my hook on a jump, but would have been in the 19" range and was super fat. Thankfully, later that day I briefly landed a 17-incher, but it didn't fully make up for it. Payback will be mine! Although the rivers of the region get a lot more attention, I love escaping to the tucked away corners of these gorgeous lakes and ponds. The cool thing about the fall stocking is that the influx of stocked trout seems to get the natives fired up too - certainly more than normal. Granted, they are still much smarter than the stocked fish, but they make more mistakes than they usually do. I have found that flies and techniques have varied a lot from lake to lake, which really surprised me. But, here are my three most productive set-ups so far. My favorite terrestrials are hoppers and ants. In fact, unless I am seeing something specific going on, they are my go-to bugs, because they simply produce. Fall trout, even hold-overs and natives, will eat some big terrestrials at times. I find those times to be warm, sunny afternoons with some wind, so that they don't get a perfect look at the fly. When the fish are picky or the wind gets sporadic, I go with the ant. The other day, I was noticing that every time the wind blew hard, you would see fish start to boil. Then they would stop. Eventually, I saw that they were eating black and cinnamon ants blowing out of trees. As soon as I made the switch, I started hammering them. Most of the time, I prefer fairly benign nymphs - ones that look very natural and sort of plain. However, lately I've developed a different strategy. On bright, sunny, clear days, I go with a small, natural nymph. The clearer the water, the more I try to use less lighter colors, such as olives, tan, or grey. If the water is a little "stained" (which is a relative term in New England), I go with darker nymphs. But on cloudy, low light days, I've been going to nymphs with some flash, because that is what the fish seemed to want. I think it catches their attention and causes them to eat it out of reaction. On many lakes, I've been dropping my nymphs 3-4 feet below the dry. It isn't fun to cast, especially in the wind, but the deeper my dropper, the more bites I've had. This is mainly because many of these Berkshire lakes are bowl shaped and drop rapidly from 1-6 feet near the bank to 15-20 feet along the initial drop, with some reaching 50-80 feet in the middle. Also, use the wind and weather to your advantage. Often, fish will make more mistakes on dry flies in low light conditions or windy days if the sun is out. Fishing flat water can be tough with dry flies and you really have to slow down and be ever conscious of your casts and presence. Another of my favorite fall rigs is a streamer with a nymph dropper. Typically, I like to set my dropper about 18" behind my streamer. However, there are days I set it closer, as long as 36" or sometimes not at all. I find that when fish are finicky, they will often zone in on the streamer, follow it, and then slurp the nymph. However, some days the dropper seems to distract them in a negative way, so I cut it off altogether. My go to streamer is a conehead bugger/stonefly type bug. I prefer an olive body with some grey or black and a bit of flash, then an olive tail. Of course, you can tie it any color you like, I just often find myself reaching for olive. When the stonies are on, I go darker. And I've found that if fishing are eating crayfish, you can definitely go to a copper/brown pattern. I also like to use muddlers, leech type strip flies, and various others. The key is to make sure you have enough weight on your fly to get it to the strike zone and keep it there. This often means you need to be patient and let it sink in that clear water. At times, it is a painful task, especially when battling the wind, but it is very important. This isn't really rocket science. If you see a bug in the air or on the water, try and replicate it. For me, there is no better way to catch trout then on dry flies (although big, gnarly streamers are close). This fall, I've found two flies that have out performed the rest by far. The first has been an October caddis. I haven't always seen a ton in the air, but these fish seem to like the big bug as they fatten up for winter. I've been fishing size 14-18 with success, at times dropping a copper john nymph below them. The second productive dry fly has been a blue winged olive pattern. I've seen a variety of BWO sizes in the air, but I've done best on smaller flies. Interestingly, I've been able to get away with bigger flies mid-day, but then had to go small toward dusk. Another habit I try and practice is to always flip a few rocks near the shore, check out the low hanging tree limbs around the lake, and look down the gullet of any fish I land. Doing this helps me to see exactly what the fish are eating and what is going on under the water, where fish do the bulk of their feeding. One evening I was seeing a bunch of rises, but they weren't sipping or gulping flies, it was mainly just tails. If you see this, it means that fish are eating emergers just below the surface and you are just seeing their tails slap the water on the way back down or as they swirl on the bug. I paddled over to the closest bank, flipped over a few rocks, and found some midge larva, which turned out to be the key fly for the rest of the evening. I almost always practice catch and release, and release everything on certain bodies of water, but on a few of the lakes I've kept some stocked rainbow trout to put on the smoker. I've quickly become addicted - smoked trout is insanely good and fairly easy to make. I try to keep "moderate size" fish in the 12"-14" range, allowing bigger fish to (hopefully) reproduce and smaller fish to grow up. I will post my recipe, process, and finished product in a blog next week. All this trout fishing has also led to the question, can you truly become an expert of more than one species of fish? I mean, I feel like I am a fairly good trout angler, but I see some of the local guides consistently putting me to shame. I'm sure if I spent a few years doing nothing but trout fishing, I would step up my game even more, but then my bass game would slip. Heck, this spring I caught one of the biggest chain pickerel ever caught in MA, only 12 oz from the state record, yet I've given them almost no love since early summer. Chasing giant fish of any species is a full time task and constantly evolving process. There just isn't enough fishing time to go around. I do believe that you can be a very good, mutli-species angler, but multi-species "expert"...I'm just not sure if that is attainable. Maybe that debate will be saved for another day/blog. Before winter sets in, pick up a fly rod (or even a conventional rod) and hit the water. The trout are biting and the scenery is as beautiful as it comes. Until next time, tight lines! It seems like you're figuring it out. I think expert is a relative term. You probably know more about fishing for multiple species than you think. There is definitely some overlap between species in terms of tactics, techniques, productive areas, etc. and I think knowing multiple species makes us better anglers. You also make a really good point about expert being a relative term. Thanks for stopping by! Trout from a kayak is just plain fun. When faced with an emergency situation there is always the possibility that access to fresh, clean water is limited. When you contract with M.T. Mayo Corp, your water and sewer tie in project will be done on time and on budget. Nowadays, more and more men are searching for the very best male enhancement products to purchase hoping that such products could help boost the size of their manhood. If you are one of them, then remember that there are absolutely so many different kinds of male enhancers in the market now. Im here to give you some useful information. This is a nice post. The place where you fishing is very nice and most important thing is the fish looks great. Thank you for your nice post. A home renovation or a home remodel project is a worthwhile endeavor particularly if you have the design and the budget in place. Great, Keep it up! I really admire your writing skills. Just read your article. Good one. I liked it. Keep going. you are a best writer your site is very useful and informative thanks for sharing!